Despite the vast research by performing arts of wayang, little is concerned about the correlation between wayang performance and a learning media. The most research held tends to elaborate wayang as intangible culture that must be maintained by current society. Whereas, local wisdom embedded in its performing arts has a big impact for being solution of appeared problems in Indonesia such as increasing learner motivation and reducing problematic of society. This research employs collaborative perspective including cognitive linguistic theory and qualitative method to look beyond the data found in wayang. An analysis of these data yields wayang as intangible culture heritage of humanity leads current society learning social life in the past to be applied in actual life today. In search of the message delivered in originally language usage of wayang provides us that wayang characters depict us about ancestors’ minds, motivation needs for learning, local wisdom, and moral values. This result is part of a growing body of research on social sciences. It will contribute to future research on similar topics. ARIFIN, Ferdi. Wayang Kulit for Problem Solver of Learning System. Edukasia Islamika: Jurnal Pendidikan Islam, [S.l. ], v. 3, n. 2, p. 147-162, mar. 2019. ISSN 2548-5822. 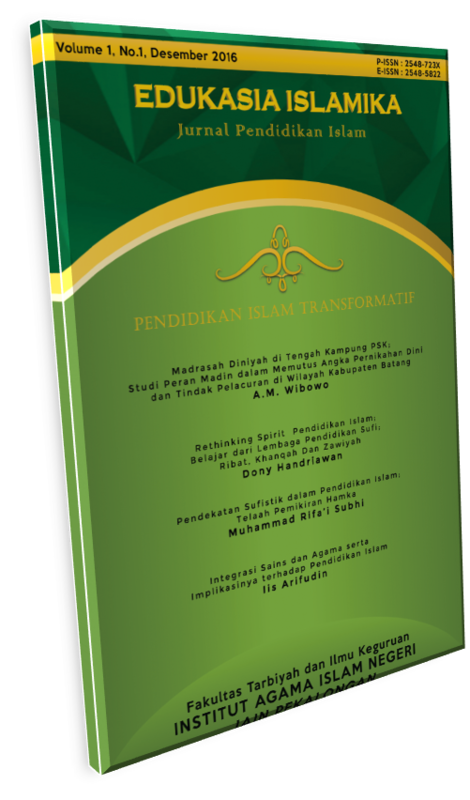 Available at: <http://e-journal.iainpekalongan.ac.id/index.php/edukasiaislamika/article/view/1333>. Date accessed: 21 apr. 2019. doi: https://doi.org/10.28918/jei.v3i2.1333.